It’s time to be the first to catch the outstanding designed Mina Hasan winter collection 2018 for women! This collection is designed especially for the teenage girls and we are sure that this collection would be the center of attraction of the girls to make their winter season super exciting. 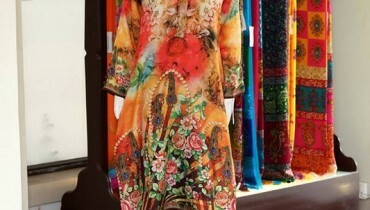 Mina Hasan is one of the top brands of clothing in Pakistan. Since the last few years, this brand has been best with its clothing collection designing and almost all of their collections have been hugely loved out at the best by the ladies in the fashion town. They add up their collections that are intended to be put in the stylish designs of a complete traditional wear in the western approaches. No doubt that almost all of their collections are best to be appreciated in the fashion town. Mina Hasan latest launched winter collection 2018 for women has been funky added over with the stylish and chic style of the dresses designs. Their winter collection 2018 has been all the more adjusted with the creative best designs of the collection dresses that is so awe-inspiring looking. You would be loving out the implications of the medium and knee length shirts and frocks as brilliant designed according to the latest and newest form of the fashion options. 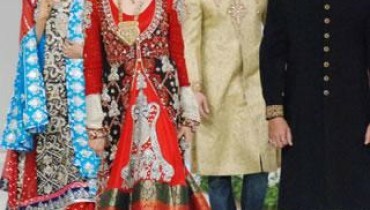 You will view out that some of the outfits are finished with the embroidery work and many of them are pasted out with the print designing pattern work. it look so classy to be make it worn on the parties and hanging out with friends. This collection is also available on the online store of Mina Hasan and you can even get it by hand by visiting the store outlets of Mina Hasan. What are you waiting for? Go and get it now!